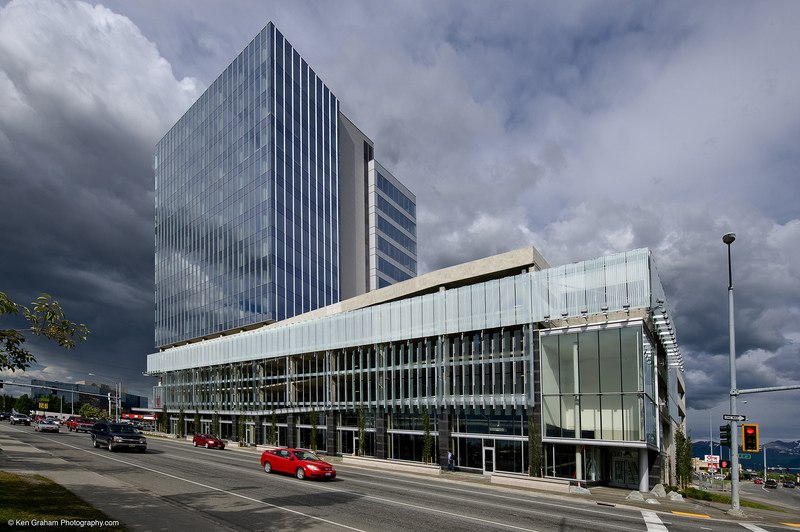 The 188 West Northern Lights Building is a 293,000 sq. ft. fifteen-story building that combines 145,000 sq. 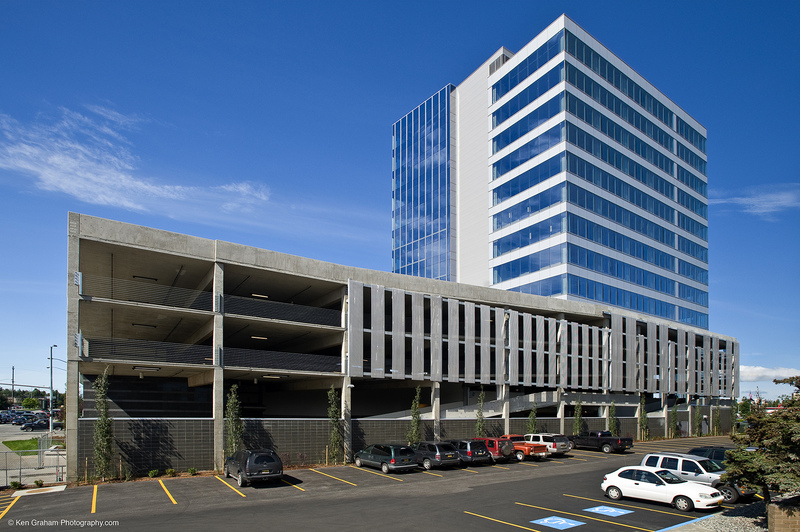 ft. on four levels of parking, 15,000 sq. ft. of ground level retail space, and 133,000 sq. ft. (nine floors) of Class A office space. 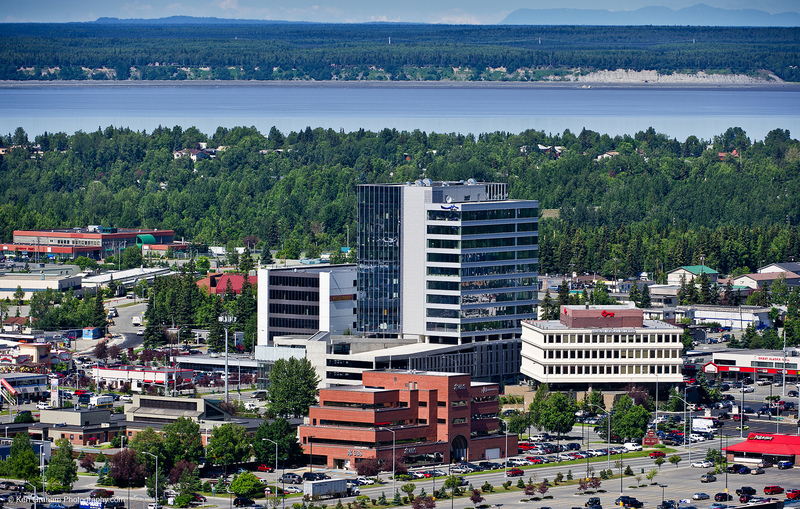 The building is located on the corner of Northern Lights Blvd and “C” Street, in the heart of midtown Anchorage. It has a concrete structural system that required 6,000 sq. ft. of concrete, much of which was placed and finished during the winter months, and the shell is a unique application of traditional and non-traditional materials. The construction site was just large enough to accommodate the building, involving curb-to-curb construction in a high traffic location. 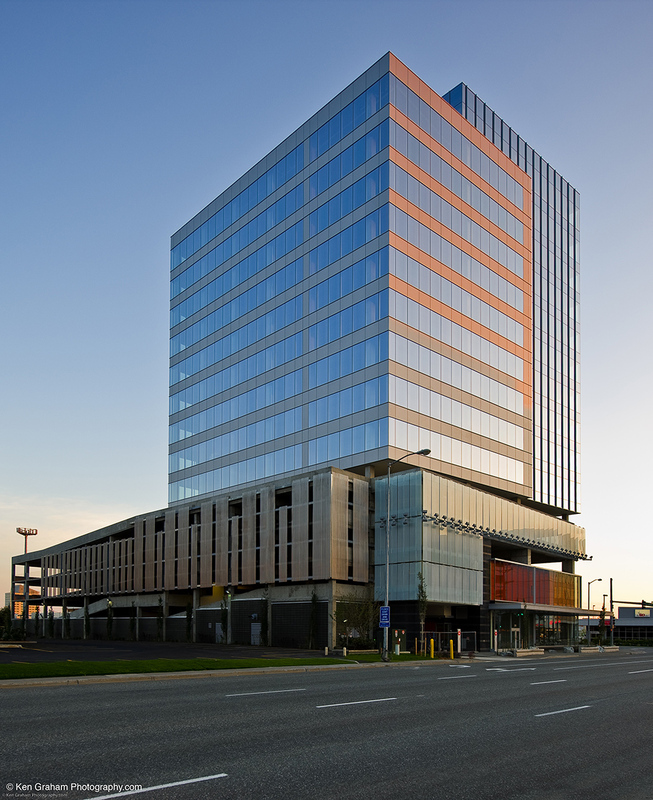 Upon completion, the project turned out to be one of the most attractive and efficient high-rise structures in Anchorage, inspiring calls from several curious design firms. 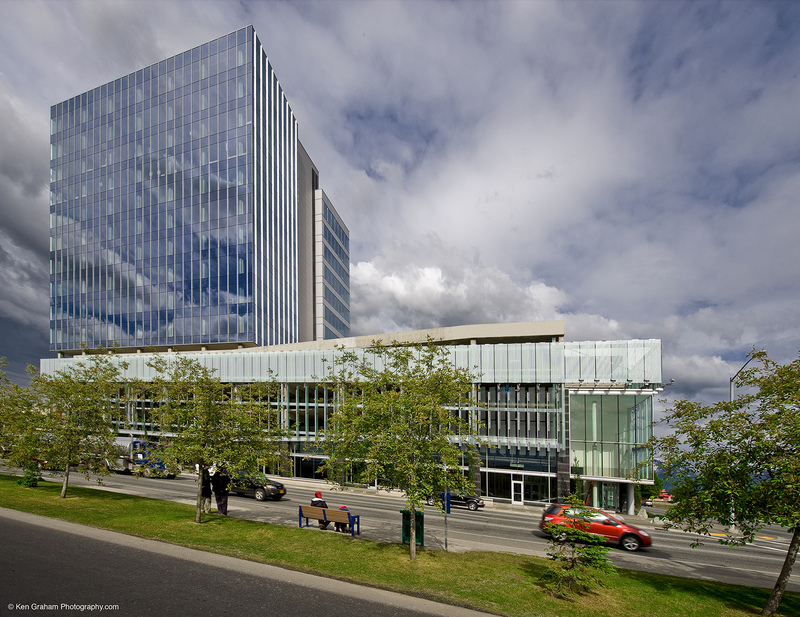 However, due to careful cost control and design constructability coordination, NCI was able to complete the project without exceeding a very tight budget.